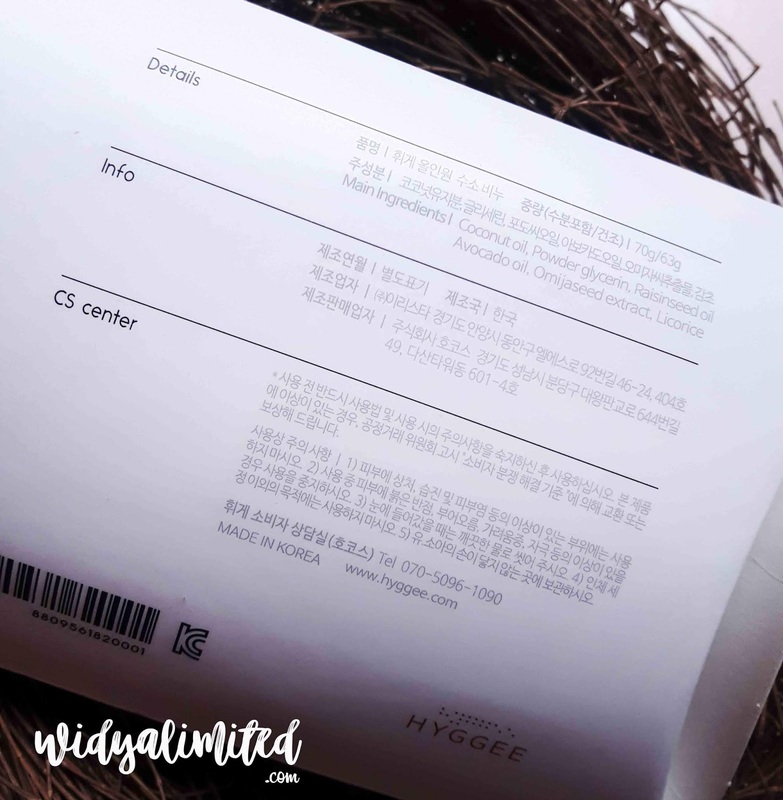 Hyggee is a Korean brand that has a philosophy that all we need is less. They create every products with all-in-one function, so the skincare steps will become a minimal steps. 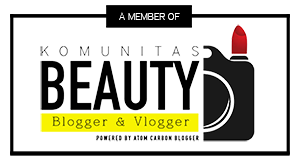 They realized that applying too much product on our face can do more harm than good, since excess products do not get absorbed into the skin but only clog the pores and cause irritation. `Less’ rather than ‘more’ is their tagline. 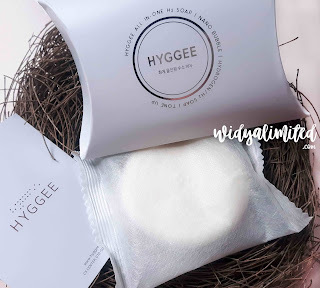 Based on their website en.hyggee.com , they have 3 range of products : skincare, cleansing, and mask. 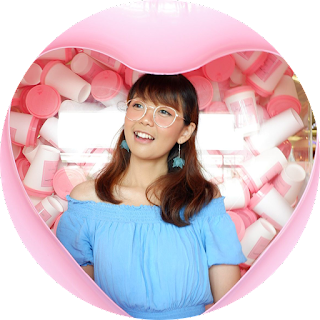 For the skincare, there are 2 kind of products : all in one products (include cream, face mist, essence) and one step facial essence (include balance and fresh type). For the cleansing, there are 3 products : cleansing foam, cleansing water, and H2 Soap. 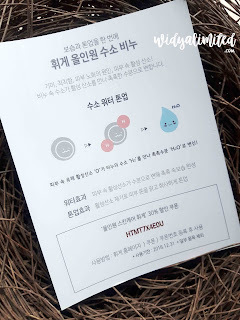 Last one, the mask, they only have sheet masks type with 3 range of functions : wrinkle care, tightening - firming, and whitening mask. So, they only have 11 products in total, and most of their products claims one products for multifunctional purposes. Ok, now i'll share everything i now (include my experience) about Hyggee All in One H2 Soap. The product comes with a cute cardbox box that seems like a pillow. At the left and right side of the box, you can open it easily because they don't glued nor wrapped it. I think this is the first time I saw the skincare products like this, and it gives me an excited feelings when open it (for me, packaging is an important aspect, and I love this kind of packaging so much!). The soap itself have a general fragrance as a soap bar. Nothing special i guess, and at the first time, i was like "this is not gonna work" (a little underestimate, sorry). However, I WAS TOTALLY WRONG. However, it may not suitable for anyone who can't use any fatty acids because it contain avocado oil (contain omega-3 fatty acids), so don't forget to test patch everything to your skin before you use it! Ingredients : coconut oil powder, silver, raisinseed oil, plumseed oil, avocado oil, armeniae oil, omijaseed extract, casterseed oil, glycerin, licorice, bamboo salt, (Cosam) Shrubby sophora, white lotus, goldthread, codonopsisi, mung beans, pine incense, hydrogen gas. 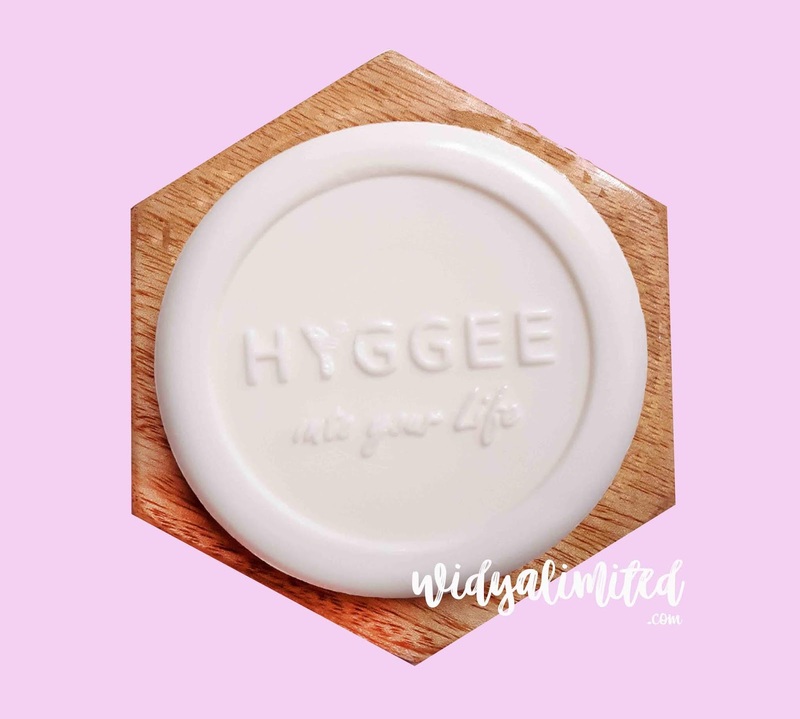 First, i usually clean my makeup and some dirts using a cleansing water (from any brand) before use this Hyggee H2 Soap. Then, I wet the soap and start to make foam from it. After the foam is enough, i start wash my face use the foam, so the soap itself doen't directly touch my face. Use the circular motion all over the face (and neck, if needed). Gently massages your face, to make your face healthier. Then, wash your face using water. After use this soap bar about two weeks, my skin feels so much better. First, i feels my skin doesn't tight after doing facial wash, and feels well moistured. 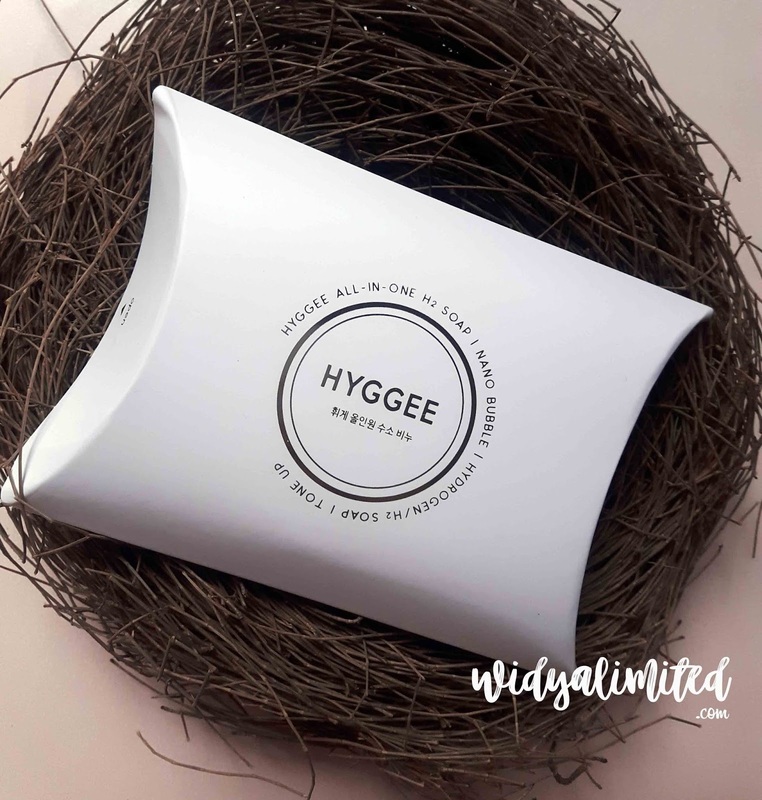 From Hyggee's claim, this soap can "locked up" the moist, and maybe this is what i feels. My skin type is dry and sensitive, so this soap is doing something good to my skin. Last but not least, this soap can also use for your body. So, if you're a lazy one (like me), you can use both for face and body.